It’s not a closely guarded secret in trucking that if you speed on Indiana interstates, you risk getting pulled over by a state trooper. It’s been that way for a long time, according to Steve Bryan, president of data-crunching firm Vigillo. In general, national law enforcement tends to zero in on equipment violations. But in Indiana in the past two years, more than 46,000 speeding violations were handed out to truck drivers going too fast, mostly on interstates and rural highways. That number represents 15% of all violations and more than twice the number of violations recorded by any other state in the country, according to data on speeding violations in every U.S. county and state supplied by the Federal Motor Carrier Safety Administration and analyzed by Portland, Ore.-based Vigillo. The data reveals that many of the speeding violations were issued to truck drivers entering northwest Indiana from Illinois and those running their vehicles too fast on Indianapolis’ beltway interstate. Gary Langston, president of the Indiana Motor Truck Association, said his members have long known of the state troopers’ reputation for nabbing speeders. That’s pretty much how Capt. Chris Barr, assistant commander of Indiana State Police Commercial Vehicle Enforcement, would describe it. Barr said Indiana troopers who patrol the roadways focus on crash-causing accidents, which are primarily the result of speeding, following too closely and unsafe lane movement. 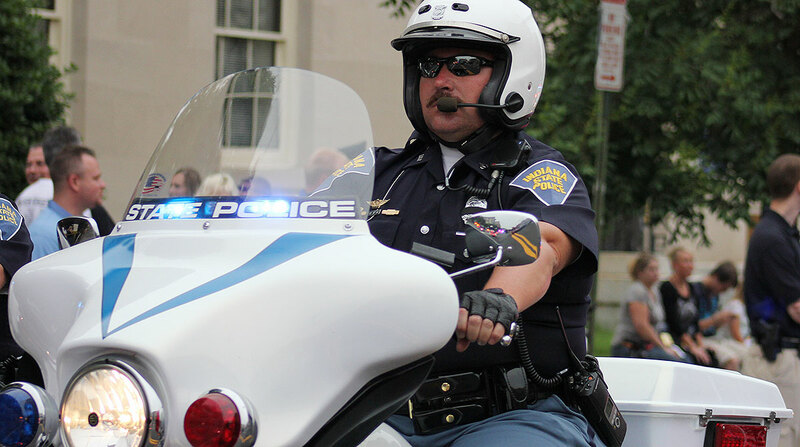 There are 250 or so sworn officers who patrol the Indiana roadways. Langston said that the reason for the large numbers of speeding violations could be as simple as the fact that so many trucks travel through Indiana. The Department of Revenue in Indiana has reported that a million trucks go through the state every day, Langston said. State Police Sgt. John Perrine said that troopers in the Hoosier state are serious, plentiful on the highways, and have several strategies to outsmart truck and car drivers beyond just sitting in the middle of the road.